Everyone knows and has played at least once in their life the Memory Game, right? A series of pair cards are laid out face down on the table, and players take turns flipping pairs of cards over, until finding two cards that match. If they do not match, the cards are turned back over. This game also exists online and we created one based on Japanese Candlesticks on our Facebook page! So you can play and kill time, but also train yourself and test your skills to recognize candlesticks patterns. FXstreet.com organizes between 40 and 50 Premium webinars per month, including webinars presented by Ed Ponsi at the US open. Premium webinars are typically more advanced than Open webinars and they favour a closer interaction with the experts. 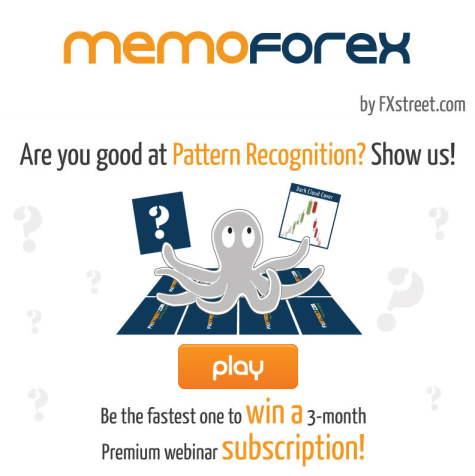 So… play, train yourself and attend our Premium webinars for free during 3 months! Next Next post: FXstreet.com twice in the media this week!